Purchase authentic Swiss Mint Gold Coins from Gold Stock – a trusted refiner and online dealer of precious metal bars and coins. 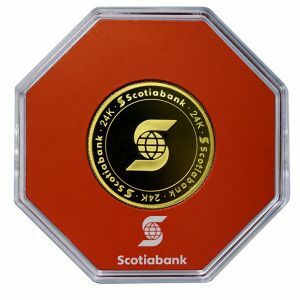 Pick your Scotiabank Round Bar now and add it to your valuable collection of international gold coins. Finest quality at competitive pricing is what you can expect at Gold Stock.